8 1/2 (1963)–Okay, I know I already used this film in my post Movies about Making Movies, but that’s how much I like this film. This is one of my top ten films. If you are a serious writer you should see this film and take it to heart. A masterpiece of the genre of thinkers’ films. Forget this one if you’re an action fan unless you’re in the mood to just sit, listen, and learn. I’ll warn you that it’s in Italian and you’ll have to read the subtitles if you don’t know the language. I just can’t rave enough about this film. Oh, and did I say it’s good? 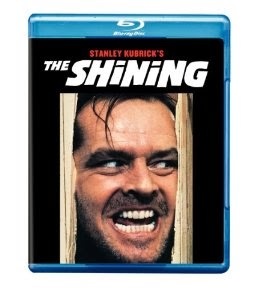 The Shining (1980)— Jack Nicholson stars as a writer who gets more than he bargains for when he secludes himself and his family so he can get some writing done. Chalk up another hit for Stephen King. One writer’s nightmare is another writer’s dream. A shot of Red Rum anybody? Misery (1990)–Famous novelist crashes car and is rescued by his “number one fan”. Fans like this we don’t need. Stephen King strikes again. Shadowlands (1993)— Based on the true relationship between author C.S. Lewis and poet Joy Davidson, this one’s a weeper. Grab the popcorn and the Kleenex. Shakespeare in Love (1998)— A liberal dose of poetic license results in a lot of fun with one of the most famous writers of all time. This film won a few awards as well. Adaptation (2002)–Great cast of actors in a curious tale. This is one of those films that I rewatched as soon as I had watched it the first time. Great film. Secret Window (2004)–Johnny Depp as a writer suffering from writer’s block. But it doesn’t end there. Now he’s being accused of plagiarism and it only gets worse. Oh yeah, and Stephen King is in on this one too. Sideways (2004)–If the writing career is not working, you can always go get drunk. The focus of this film is wine, but it’s really about a writer and writing. Freedom Writers (2007)–Brand new idealistic English teacher gets assigned to tough class of inner city students. She gets them involved in journaling and they in turn fall into the writing life. Inspirational film about teaching and the power of words. Midnight in Paris (2011) — In one of the best films directed by Woody Allen, a writer vacationing in Paris time travels back to the 1920’s and meets famous authors and others. Doesn’t matter if it’s a dream, a fantasy, or what–it’s fun. Hint: This blogger juggles a lot of online activities. Haven't seen all the movies on the list. Must correct that. Dude, you're almost done with the A-Z. You'll need a rest. The Secret Window was the first one that came to my mind. I love seeing writers in both movies and books. It's all so familiar. There are a lot of good movies mentioned here that I'd like to see! I thought it was Alex. But it's probably Arlee. So I guess I wouldn't have guessed it on my first guess. I'd like to see Shakespeare in Love. It's one of those movies that's been on my list for a long time. No idea but love the enthusiastic reviews!!! 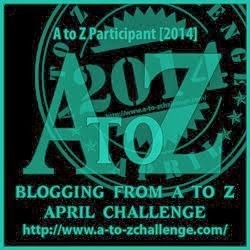 Why did Lee come up with the A to Z Challenge? A Bored Child Dreamed Every Fortnight. Great Hallucinatory Intense Jam-packed visions in which Krazy Letters Marched Non-stop… Onwards… in a Playful Quest ————————– then he woke up! Now I'm officially in alphabet L. Yep, the man who juggles his balls, amongst other things, Mr. Alphabet Dude himself. If only he knew that "Tossing" is a British euphemism for shall we say, self-pleasure. "Tossing it Out" yes indeed! Okay, this is beyond silly. Three in the morning and I have chocolate and peanut butter cookies to finish off. They were very nice. My compliments to you and that fowl hen. You are, as ever, impossibly silly and that is exactly right, of course. And I'm more impossibly silly. Ten minutes past four in the morning. And tell the Alphabet Dude to get more sleep. Hate to see him so tired over his own challenge. Oh, how I laugh. Goodnight from lil' ol' England! Ack! I'm too late and everyone has stolen (yes, stolen!) my correct answer, which I may have come up with, given enough time and enough clues. I just think slower than most people. There. There. Lynda. Let's not over-react. You're doing just fine and you're not slower than most people–just slower than those who rise when roosters crow. How do they do it? I have no idea…but I do now the blogger has great taste in movies! Looks like the answer is up there again, so I'll just say that I love some of those movies. I wouldn't have even thought to do a writer themed list like that, but it's a good list! It is. I really like to have lists like these. I'm rather list-lazy. Thanks, Finley. Come again. I'll stop by to find you. 81/2 I would like to see it again as I've forgotten about it. Did you say you liked it? (haha teasing) I liked Midnight in Paris too. ugh… Can I pass and ask for a do-over later when my brain starts working again? Arlee always posts something interesting. I've seen most of those movies. I still need to read all of Arlee's posts from this year's challenge. It's on my to do list! I have one other friend who is a bit of a movie buff, but I haven't stopped in to see if that's what she's posting about this year–not for lack of trying. My goodness, it's been a busy year! I threw the book The Shining across the room in an involuntary terror twitch. I remember Joey in Friends kept it in the freezer as protection. Great movie. Shakespeare in Love – ahhhhhhhhhh. Wasn't that movie sweet? It made me love Shakespeare even more. Arlee – I think. He juggles in real life and online! I can't juggle even one thing at a time. Don't know how he does several. It has to be the NINJA CAPTAIN, ALEX…. Now where's that car! I want IN, NOW!!! I loved that car, too. Such a simple, yet effective device. My hint! You read it. Thanks. How did I miss that Johnny Depp was a writer in a movie??? And Stephen King??? I miss all of that kind of stuff. I'm just so not savvy when it comes to who does what in Hollywood. The Shining is a masterpiece. And so is Stephen King's recent sequel, Dr. Sleep. A must-read! Too many Lee's, aren't there. Glad you rose and came over to say hi this morning. This entry sure was sounding familiar and then I saw Alex's answer. I would have had a difficult time figuring out this one. I really slept in this morning and Alex is the only one commenting? People must be really getting tired. I feel like going back to bed. I'll take a nap this afternoon. We're all dragging a bit. Saved the hardest Mystery Bloggers for the last. That would be the Challenge founder himself, Arlee Bird!